This common stone in the train station looked familiar. 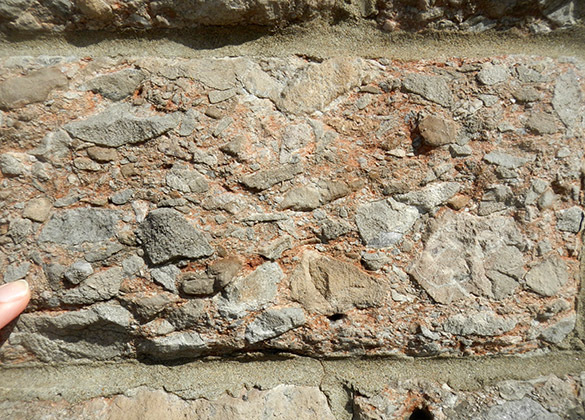 It turns out to be the same Triassic wadi deposit I saw with Tim Palmer in Wales last year. The gray clasts in this breccia are from the Carboniferous Limestone. Here is Cassidy ready to board the train for London. All her fieldwork is done and she is soon to be off exploring England, Scotland and Wales with her boyfriend. Nice job, Cassidy! 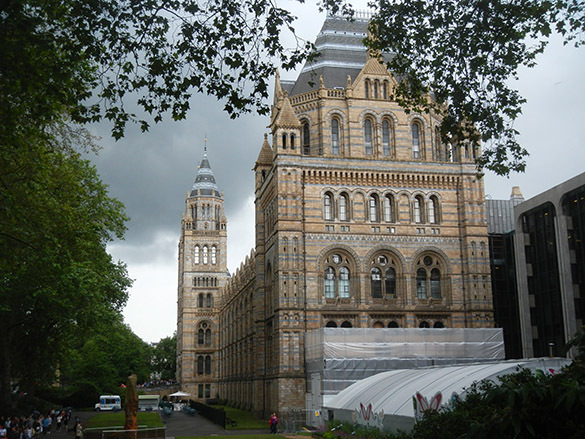 Here is my destination in London: the fantastic Natural History Museum, seen here from Exhibition Road. A cathedral of science. 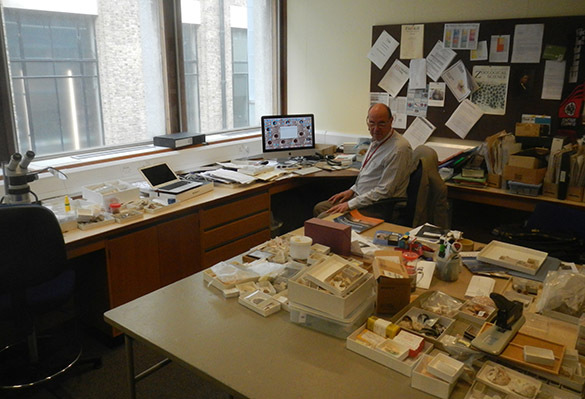 And the mighty Paul Taylor sits in the heart of the museum, surrounded by bryozoans. He has been my very good friend since 1985. I am fortunate again this summer to work with Paul and Tim Palmer — the Three Amigos for 31 years. I will also be working this week with Consuelo Sendino. 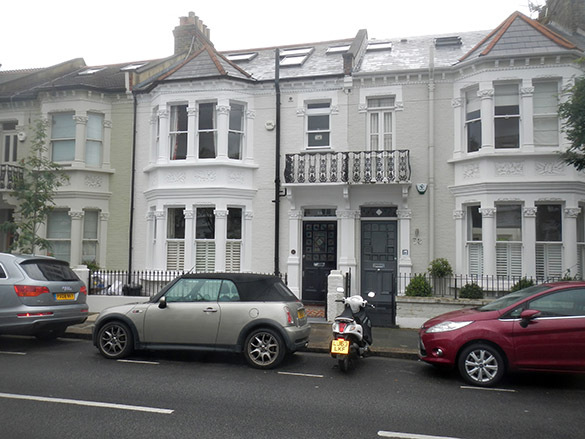 Finally, here are my lodgings at 66 Winchendon Road, Fulham, London. 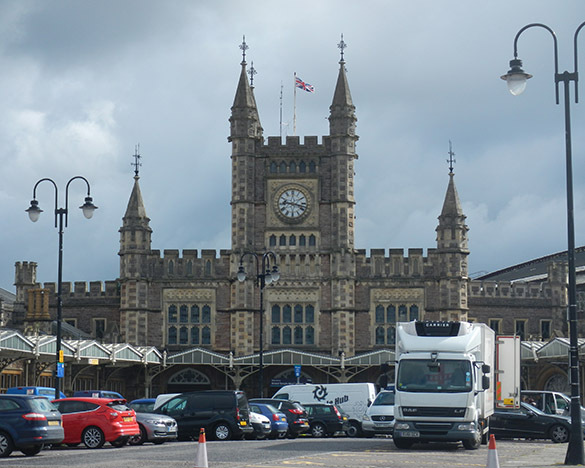 I’ve rented the top room (with the roof windows) for the week I’m here.